I thought a couple of the jurors were ‘kind of’ aware that someone had died, who was connected to the case, according to this story. They were also told to stay away from news stories ect. Unless, they were sequestered, I don’t know how they could possibly stay free from any outside influence with this trial. FBI agents just do not decide to go shoot themselves in the middle of a heated trial. However, I can see the defense using this instance (texting) because they had nothing … a juror told the judge about her texting and now there is a dead FBI agent who uncovered 89 counts of fraud that amounted to 102 billion. Go figure. If Ellison ect. gets off in Boise (and they probably will) there are hundreds of people who have lost millions of dollars and regular folks have to eat their bankruptcy. These guys are worse than the common crack addict who takes more heat from the justice system when they are caught. I certainly have not followed the case other than to read Bill’s posts about it. Regardless of whether I followed it closely or not, I was taken aback by Stebbijo’s post. Apparently Stebbijo’s views herself as the ‘decider’ of who did wrong–and “Ellison etc” based upon all the evidence and testimony (which I cannot imagine she has examined and heard) is/are guilty. “Go figure.” As to not telling the jury that the FBI agent committed suicide–if I was a juror, I would sure want to have that information. Not telling the truth about texting is one thing, committing suicide after testifying…seems to be something of far more consequence on the agent’s truthfulness. If I offended you up river, I am very sorry. Having lived in Idaho for many years and with some of my own personal experiences and given those I have also learned about, I do quickly ‘decide’ on many things and their outcomes when it comes to Idaho. But, don’t worry, I don’t have any affluence or influence, so my opinion really does not have any weight, even though, I do think they are very very guilty. Thank you for the feedback. I agree with Judge Winmill’s decision to not tell the jury about FBI SA Morse’s dying from a self-inflicted gunshot wound. If Judge Winmill were to reveal only that fact without additional explanation, it could reasonably cause jurors to draw unwarranted conclusions about the reasons for it. That would almost force the Court to determine which of the details of her death needed to be revealed to jurors to avoid unduly influencing them to draw the wrong conclusion. My reaction would be exactly the same if the Ada County Coroner had determined SA Morse’s mode of death to be homicide at the hand of another, accidental, or natural. The Court determined which of the material related to SA Morse’s testimony and writings were discoverable by the defense for impeachment under Brady. The Court also determined which of the material resulting from her death investigation was relevant to proving the issues at trial. Apparently Judge Winmill determined that SA Morse’s mode of death was not relevant to proving the innocence or guilt of the defendants. The jury needs to remain focused on the facts admitted into evidence by the Court and to arrive at a verdict based on those admissible facts, not on their own speculation about the reasons why FBI SA Rebekah Morse is no longer in court. I believe the information Judge Winmill gave to the jurors was sufficient to enable them to assess the credibility of SA Morse’s testimony. I tend to agree with upriver on the relevance of the FBI’s death within the trial. The information out there is very limited. It’s almost conclusive that it was suicide but I always question that type of death. That’s it, that’s all we get. If I were a juror and a good defense attorney planted that one seed of doubt in my mind, she lied to the judge – she may have lied on everything would most likely – as a juror – cause me to doubt her testimony. Then, they kept the phone locked in a safe. This case is horrific and the Judge was smart to not tell them about her death because they probably would not have a jury. But, I cannot imagine that they don’t know or have kept free of outside influence during this time period. I just don’t buy it. I also think Sowell is doing a good job with his reporting even tho headlines need to be written for the area. He given of some good stuff. Winmill on Monday questioned each of the 14 jurors to find out if they found out about Morse’s death. Two jurors said they had learned a death had occurred but that they could continue to be impartial juror. I don’t think the jury is any good, but that’s just me. They could have lied to the Judge,too. This article helps a lot because it explains the DBSI scheme in language that is easier to understand and outside of Idaho, they are pretty much toast. Not the most popular guys on the block. Hidden Markups – DBSI would buy a commercial property at a given price and then sell it to new investors at a profit. The amount of the markup was not disclosed in many cases; a violation of securities law provided the properties were sold as a security. One disturbing characteristic of this practice was the amount of time between DBSI buying an investment property and selling it to investors; sometimes it was as short as one day. I’ve included an addendum in the original post. It further explains Judge Winmill’s reasoning and wording in a curative instruction concerning SA Morse’s texting. Thanks Bill, I tried to get into Pacer today but I have to do something with those “cookies” to get back in so I just shrugged it off. This is so interesting because it appears that she was answering about a specific time that she was only turning her phone off – which is not a lie. She could not be questioned in more depth because she died. But, the judge determined it was a lie, so now we have this mess, so the jury can consider that in assessing her credibility. I don’t like it, I think it has gone too far. But, Judge Winmill thinks quite the opposite. I think he “assumed” too much. For once and not very often, I am with the Government or prosecution this time. All this garbage about her cell phone should be thrown out, it’s garbage. But, this kind of jury is just fine with no reference or copy of what was actually said – “acquaintances had blurted out short comments before they could be stopped.” The Judge does not want a mini trial within the trial because it will confuse the jurors. Huh? Who is he to determine that? Thus, he also denies evidence of “context” to be submitted by the Government. Allowing testimony that is considered a “lie” to assess the credibility of a dead person, pertaining to a matter of which they cannot respond is ludicrous, AND assuming that a jury is too dumb to consider additional evidence to explain “context” risks the Judge’s ability to preside and raises further questions. Assuming as the Ada County Coroner ruled that SA Morse did take her own life, we the public don’t know why. We can speculate that it was related to her inconsistent statements on the witness stand, but we really don’t know what her motivations were. We don’t know what else was going on in her professional and personal life. Regardless, she is no longer available as a witness, so the defendants will not have an opportunity to confront their accuser. If you would have the jury be instructed to simply disregard SA Morse’s inconsistent testimony concerning the texting, then the defendants have at least an equal if not superior right to ask that all her testimony be disregarded. I think Judge Winmill is trying to take a proportional approach to let the jury arrive at a verdict. If the defendants are acquitted, that will probably end the criminal action. If they are convicted, then the defendants can appeal if they can find a basis for appeal. I think Judge Winmill’s approach to dealing with SA Morse’s unavailability as a witness has been reasonable. The defendants, the government, and the people are entitled to a verdict in this trial, and I think Judge Winmill has taken a reasonable approach to enable the jury to deliver one. The problem is the Judge will not allow the jury to examine the “context” of those alleged inconsistencies. I think it all should be admitted including the “law clerk” stuff, that is my issue. The Judge ‘assuming’ that the jury will become too confused to handle it is another issue, that sounds like our former mayor thinking we are too dumb to be part of our local development. However, I really appreciate your analysis, pertaining to disregarding the texting. So, my real concern is why not allow the additional information and why did he omit the exchanges regarding the death when three of the jurors were notified in some manner? He seemed to minimize that issue because after his questioning of the jurors, he is satisfied and called them “obedient” and believed they could impartially arrive at their verdict and promised not to tell anyone on the jury of those exchanges. I am floored that this is how we pick a jury in Idaho. I don’t think Judge Winmill intended to insult or offend the jurors when he said the additional information might confuse them. 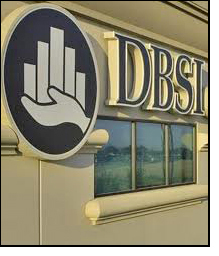 The DBSI prosecution is a complex financial crime prosecution. To either acquit or convict, the jurors need to be able to focus on the admitted evidence, some of it very complex (Hey, remember, you’re dealing with the IRS here… not necessarily the epitome of clarity and simplicity!). My impression is that the Judge wanted to do everything he could to enable the jurors to focus on the admitted evidence so they could arrive at a verdict. If the Judge goes into too much detail, e.g. telling the jurors that the FBI case agent died of a self-inflicted gunshot wound, that may well distract them from the focus they need to have on the evidence to acquit or convict.